Treating eczema – when should patients be offered alternatives to creams and ointments? 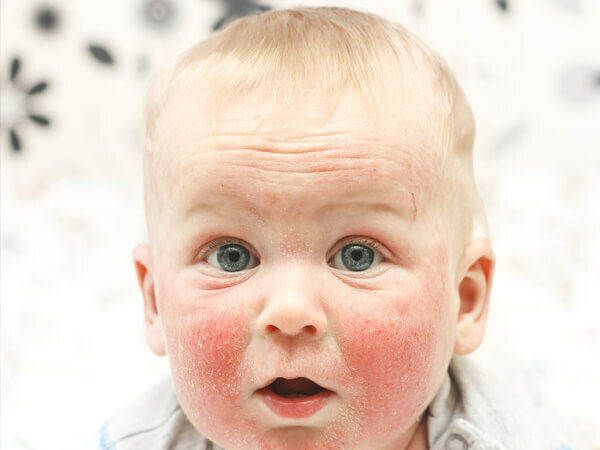 Eczema – also known as atopic dermatitis – is a common, itchy, and unpleasant condition affecting as many as 1 in 5 children in Ireland and the UK. Having eczema is strongly associated with having other medical conditions, including food allergy, asthma and hay fever. In addition, newly recognised conditions associated with eczema include those related to chronic loss of sleep and mental health issues. There are also early signs that eczema is associated with increased cardiovascular problems. It is no surprise then that eczema, together with its associated conditions, can have an enormous impact on the quality of life of affected children and their families. The therapeutic mainstay for so many with eczema is topical treatments, that is treatments that are applied directly to the skin. This can include the use of steroid creams/ointments or topical immunomodulators, which act by switching off the immune response responsible for eczema. Often these treatments are inadequate, and difficult to administer, and so are entirely unsatisfactory for patients. But what are the alternatives? Biomarkers (proteins in the blood that can be used to identify and track disease) found in moderate and severe eczema show that the disease processes that lead to eczema are not confined to the skin. This supports use of systemic therapy, that is the use of drugs that spread throughout the body, to treat the disease. When should patients with eczema be offered systemic therapy? The decision on when to offer systemic therapy is a complex one, dependent on patient and doctor preferences and familiarity with the systemic medicines available. This decision is further complicated by the fact that many established systemic drugs have not been specifically approved for use in eczema. Patients may be offered very different therapies depending on their location and the health care provider they attend. In the last number of years there have been exciting new developments in eczema therapy heralding a new range of systemic therapeutic options becoming available. The International Eczema Council (IEC), an organisation that aims to bring together scientists and medical doctors dedicated to improving the lives of patients with eczema, has just published a consensus framework to provide a structure to better inform patients and caregivers faced with the decision of whether opt for systemic therapy. Full text of paper is available here. Could methotrexate be an effective and safe treatment for severe childhood eczema? 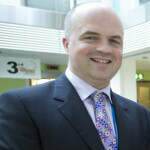 Professor Alan Irvine, one of the IEC Councillor’s involved the consensus statement, is a Consultant Dermatologist in Our Lady’s Children’s Hospital, an Associate Professor of Dermatology in Trinity College Dublin and an NCRC funded researcher. Professor Irvine’s primary research focus is childhood eczema. When parents are making decisions regarding systemic therapy for children they often many very pertinent questions regarding how effective the therapy will be, how safe it will be and for how long the effects will last. The best way to answer these questions is through a clinical trial, many of which are under way for new agents. For older agents, such as methotrexate and ciclosporin, Professor Irvine is working with Dr Carsten Flohr of Kings College London to get better insights through the TREAT Trail; a clinical trial designed to determine the effectiveness, safety and cost-effectiveness of these drugs. To better provide some information for parents Professor Irvine has recently published data from the last 47 consecutive patients treated with methotrexate, a drug commonly used to treat cancer and autoimmune diseases. The results are very positive so far, with methotrexate appearing to to be an effective and safe treatment for severe childhood eczema.